Ingredients: cocoa mass, sugar, cocoa butter, emulsifier: soy lecithin, natural vanilla. Added ingredients: fruit (concentrated apple puree, raspberry puree), fructose glucose syrup, sugar, humectant: glycerol, wheat fibre,vegetable fat, concentrates (black carrot, blueberry, blackcurrant) with colouring properties, gelling agent: pectin, citric acid, malic acid, natural flavouring (cocoa solids 55% min). Discover our NEW smaller shards! Fruity pieces of raspberry are mixed into the chocolate. 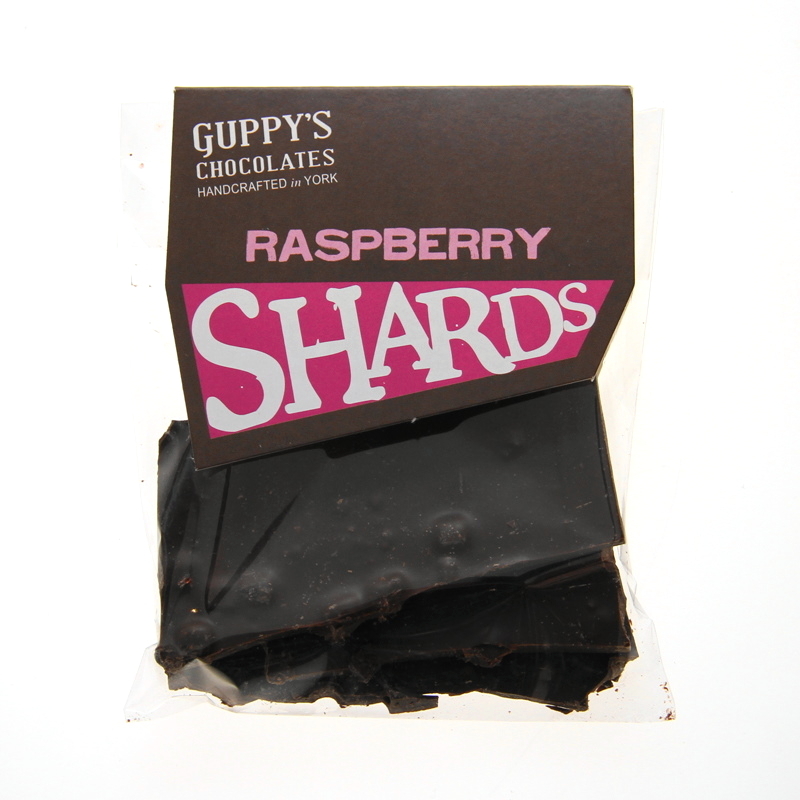 The sweet-sour of the raspberries pairs well with the dark chocolate.